Chvrches is a new band from Scotland who make synth pop music. They have appeared on the scene in a big way and have already gain quite a following with just a few songs. They are a trio made up of 2 guys and the lead singer Lauren Mayberry who is absolutely beautiful in both appearance and in voice. Here is one of their hits called Lies. Also check out their song, The Mother We Share. The 1975 is an interesting band that seems to have a wide range of music style ranging from pop to atmospheric emotional songs. They are a 4 piece band from the UK who have been pumping out EPs faster than I can keep track of. Here is possibly their biggest hit so far, a song called Chocolate. It's a very catchy pop tune. Enjoy. Here is a song by The Knocks that has been remixed perfectly by Viceroy. If there could be one song to capture the feeling of summer, this would be the one. It has a tropical feel and pop sensibility to make it very nice to listen it. Frightened Rabbit has a lot of loyal fans for good reason. They have been around for a while and have had several hits, yet have managed to stay out of the mainstream so far. They have a new hit this year with The Woodpile. It has a powerful chorus and great lyrics. The video is also very good. Make sure to watch until the end. No spoilers. I just found this song recently and while I don't know much about the artist Bibio, his new single A Tout A L'heure is certainly very catchy. Apparently the title translates to "See you later" in English. Like all of the songs on this list, it can get stuck in your head very easily. Gotta love these guys. They put out consistently funny material in the form of songs that are actually very good. This is an anthem type song with an epic instrumental about spring break and social issues. It must be no coincidence that G-Eazy continues to earn a place on the top 10 list year after year. He has a knack for good rhymes and catchy instrumentals which he produces himself. This song is actually an extra from the material he is putting together for the new album. Love the instrumental on this one. Possibly the most interesting act on this list this year is Knower, a duo consisting of Louis Cole and Genevieve Artadi. Their music is not the easiest to listen to, but there is a lot of technicality in the production combined with catchy vocal hooks. Clocks and Hearts Keep Going by Heatwave in the springtime. Vocals by dim light. Ideas by Jim all the time. This was fun to make. Tanya Davis is a poet and song writer from Halifax Nova Scotia. She has many wonderful spoken word poems as well as original songs. This is an acoustic number from her album Clocks and Hearts Keep Going. I love songs that are different and don't really follow the traditional genres and and forms we are used to hearing. This one takes some electronic beats and combines repeated spoken word to create one unique song about what thou shalt not do. Hope you enjoyed the songs on this list of best songs of 2013. Did you find a new song you like? Is there a song you love that should be on this list? Let us know in the comments below. Also check out the 10 Best Songs of 2012. 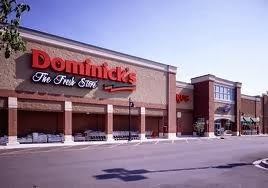 Dominick's is a household name in the grocery business in the Chicago area. They had about 70 stores from the city to the suburbs. Recently they have fallen on hard times and have decided to close or sell all of the stores by the end of the year. Growing up, my family would shop at Dominicks as well as as other stores like Jewel Osco. As an adult however I rarely shopped there, mainly because the prices were so high. Some people complain about the prices of competitors stores, but from my experience, the items that I buy are always listed at the highest prices I have seen anywhere whenever I go there. Since hearing the news, I thought I would venture over to my local Dominicks one more time. I figured they might have a lot of sales to clear out the inventory before they closed. I went there early in the morning. The place was a ghost town. Seriously, I walked in and did not see a single person. I started pushing the cart around and occasionally saw an employee here and there. I checked out the prices and to my surprise, they were still as high as ever! No good deals. I really think this is one of the reasons they have lost business is because their prices are inflated compared to the competitors. I didn't want to waste the trip so I walked around and picked out a few things that were not too expensive. Even the specials that you need a card for were still the same price if not more than what you would pay elsewhere. Overall the store was not in great shape, but I don't blame them. If you knew your store was closing in a few weeks, it would be hard to have the motivation to do a good job and provide the best service. I checked out at the only open register with an employee who seemed to be on the phone having a personal conversation at the same time. Not sure if I will go back for the last days to see if there is anything on clearance or if that will be the last time I shop there. I do feel bad for the employees. Many of the stores are being bought out by Marianos, Jewel, or Whole foods. Hopefully most of them can retain their jobs with the new stores taking over. Whodunnit is new show that takes a group of ordinary people and puts them in a mansion where each week one of them is "killed". The remaining contestants must then use clues left behind to try to figure out who did it. The catch is that the killer is actually one of them, but no one knows who it is. This show was so fun to watch this year. The casting was excellent in addition to the drama, strategy, and suspense which made it the best show of 2013. Here is another new show which premiered this year staring Kevin Bacon as a former detective who is brought back to catch his biggest nemesis, a serial killer who has escaped and who has a cult like following of killers ready to do whatever he says. It took me a while to get into this series, but once it picked up, it became the best prime time drama of the year! It's no surprise Big Brother has made it on the list this year. The mother of all reality shows had one of it's most controversial seasons this year with contestants saying a lot of things they shouldn't have. The drama, competition, and emotion ran high this season which places it again on our top ten list this year. 4. Master Chef / Master Chef Jr.
Two for the price of one this year with a new Master Chef as well as an equally enjoyable Master Chef Junior. This has become my favorite of the many Chef Ramsey shows where ordinary people get to compete to be America next great chef. The Junior edition gave kids a chance to show their skills in the kitchen this year and was possibly even more entertaining than the regular edition. Undercover Boss is back again this year putting the CEO's of companies in disguise and sending them into the front lines of their own companies to find out what the employees really think. This show always has a lot of good moments where the bad employees are discovered and confronted and the good employees are praised and rewarded. Shark Tank is back on the list this year with the wealthy "sharks" deciding which entrepreneurs they want to help out and partner with to grow their business. The banter between the sharks is great and it is fun to see ambitious people trying to bring new businesses and products to the market. American Ninja Warrior is a unique athletic event that really shows true physical skills such as strength, balance, and agility in a variety of events and obstacles. People from all over the country compete and try to move on to the next stage in the fastest time. No American has even finished all the stages yet. Will this be the year? A new show and the first comedy on this list is Brooklyn Nine Nine. This show stars Andy Samberg as a goofy police detective in Brooklyn. He is supported by a strong cast of funny characters. Each week they solve crimes but the main focus is the humor and the jokes. A surprise hit this year is the new comedy Trophy Wife. This show is similar to Modern Family in the fact that is has a large cast, but I find the characters to be much more likeable. Don't be thrown off by the title. This show is about a family and all the funny interactions and relationships between them. Rounding out the top ten this year is the feel good show Secret Millionaire. The show sends millionaires to a poor area of the country in need where they look for opportunities to volunteer and help out. At the end, they reveal their identity and give money to those people who need it most. Hope you found a good show to watch here on this list. What was your favorite show of 2013? Check out last year's 10 best tv shows of 2012 here. Also check out the Best TV Shows of 2014.